Dagmar Kusá received her MA in political science from Comenius University her PhD. in political science from Boston University. Prior to BISLA, Dagmar worked in the Slovak Helsinki Committee for Human Rights and served on its Board of Directors. In 2008/2009, she worked at EUROCLIO, the European Association of History Educators in the Hague. 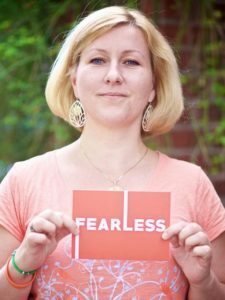 Since 2004, Dagmar was the Program Director at the International Center for Conciliation in Boston, where she remains affiliated as a Senior Fellow and trainer in identity conflicts transformation. Her primary academic interests include the political use of collective memory, ethnic identity, citizenship and minorities, and manifestations of cultural trauma in public discourse. Current research focuses on the quality of democracy in countries transitioning from totalitarian or authoritarian regimes and its relation to the institutional choices of addressing the past, particularly in the context of South African and Central European transitions. She serves as the country expert on citizenship at the European Democratic Observatory (at EUI) and co-organizes a global annual Muslim-Jewish Conference. She is the Vice President of the Helsinki Committee for Human Rights in Slovakia. Narratives of Peace, Conflict, and Justice project seeks to collect interviews, surveys, and oral history interviews from people in Slovakia to map understanding of reconciliation after a time span of one generation, paying attention to differences between generational cohorts. Three students, who are collaborating with me on this research, are also taking part in the course and similarly designed research in South Africa. Both of these segments together contribute towards a broader research on the use of memory in transitions to democracy and the impact of these choices on the quality of democracy after more than twenty years. For students, among the most rewarding and beneficial experiences in college are said to be the „Big Six“ college experiences—being valued as a person, having a mentor, having access to teachers and counseling, doing undergraduate research, volunteering and interning, and engaging in extracurriculars. These, research shows, lead to best results in life after college, in terms of finding a meaningful employment and life satisfaction. From the teacher’s side, the lure and satisfaction are derived from the same sources. Liberal arts offer an immensly enriching experience of working with students closely, watching them grow personally, develop and flourish in their professional lives, having a deep impact on some of their life journeys. It also means being constantly challenged as a scholar, collaborating and inventing, looking for ways how academia can impact the society around.